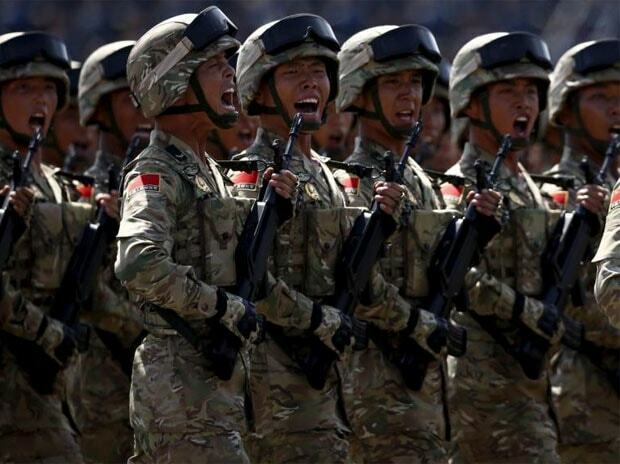 China has increased its defence budget by 7.5 per cent for this year, hiking it to $177.61 billion from last year's $165 billion. It is over three times India's defence budget. The increase this year is lower than that of last year's 8.1 per cent. China, which increased its defence budget in double digits till 2015, lowered it to single digit hikes since 2016. With this increase, China's defence spending moved closer to the $200 billion mark, making it the highest spender on defence after the United States. India's defence budget this year was increased by 6.87 per cent to Rs 3.18 trillion against last year's allocation of Rs 2.98 trillion, notwithstanding expectations of a major hike when China and Pakistan were bolstering their military capabilities.